We have specials for every day of the week. Kids specials, Mariachi night, Taco Tuesday and much more. Visit our location and enjoy a real Mexican experience. Let us know what you think! If you have any questions or would like more information about us please send us a message; we will get back as soon as possible! Located in 4th St. Petersburg. 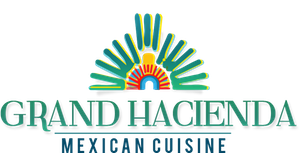 Grand Hacienda Mexico offers the best Mexican Flavors in the area. Let us bring Mexico culture to you by providing you an experience that you will always remember. Visit us with your friends and family and enjoy our delicious and exotic menu.